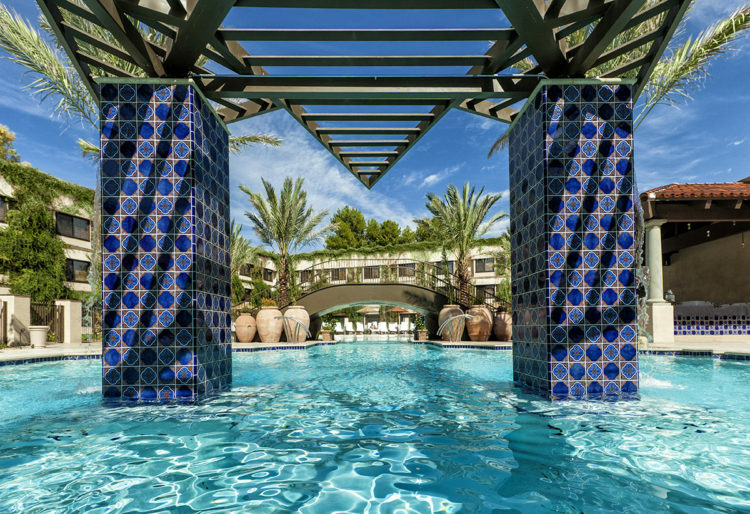 Spend the last weekend of summer relaxing and unwinding with fun activities and special rates at The Scottsdale Resort at McCormick Ranch, A Destination Hotel during Labor Day weekend. Celebrating its 40th anniversary on Sept. 4, The Scottsdale Resort will be rockin’ with “Music & Movies through the Decades,” highlighting the 70’s, 80’s and 90’s. The Mark Long Band will be playing live music poolside from noon to 6 p.m., while splash-in movies will cool things off starting at 9 p.m. each night with films like “Pretty Woman” (Sept. 2), “As Good as it Gets” (Sept. 3) and “The Mask” (Sept. 4). Arizona residents and travelers can take advantage of standard room rates starting $99 and The Scottsdale’s Dive into the Decades Package with rates starting at $159* (Sunday-Thursday) and weekend rates starting from $179, which includes a nightly $50 food and beverage credit (excluding alcohol) and two $25 Luna Spa vouchers (must be used separately). Guests also can enjoy daily happy hour at Bar Six40, and kids under 12 eat free with the purchase of an adult entrée. Summer rates are available now thru Sept. 6. Promo code: SUMMER. For more information and to book, visit www.thescottsdaleresort.com. *Restrictions apply. All packages are subject to availability and blackout dates including but not limited to holidays and holiday weekends. Not included in the package rate are tax and a $25 resort fee, which covers parking, fitness center access, bicycle use, Wi-Fi, and daily newspaper.